In the early 1990's I bought a pair of 120mm Schneider view camera lenses for doing stereo images. I had them check the lenses in the factory to make sure that the focal lengths were perfectly matched, and they were. 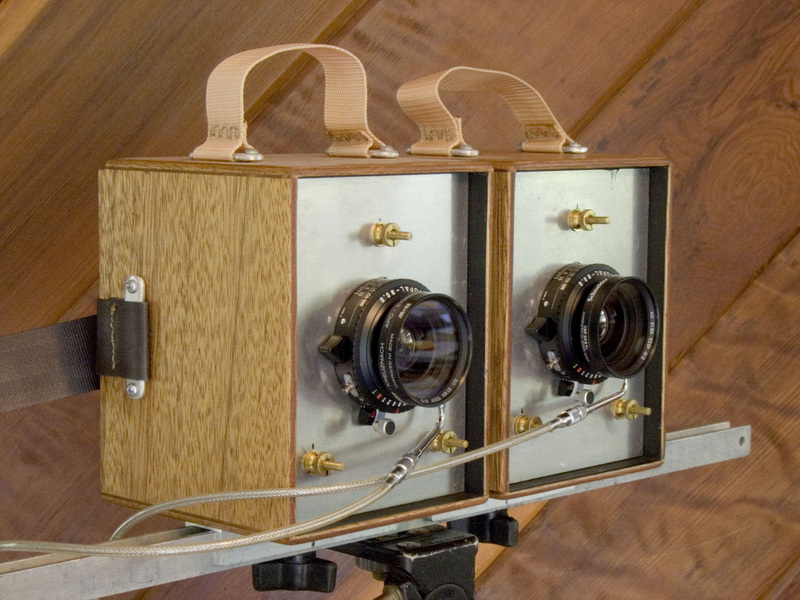 I then built this pair of cameras out of wood. Using the screws on the front of the lens board the cameras could range in focus from 5 feet to infinity. I recently scanned and formatted a group of the images. You can view them as anaglyphs, cross-eyed, or parallel. Click on the format you prefer.